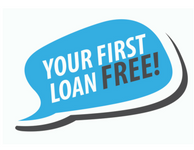 We are Hawkes Bays No-1 short-term loan provider, with your first loan FREE! Borrow up to $500, with no interest or fees. You can choose between the Express loan which is secured against your income or the Pawn loan which is secured against an item of value. Apply online or call into the store and in 15 minutes you could be walking out with the cash.